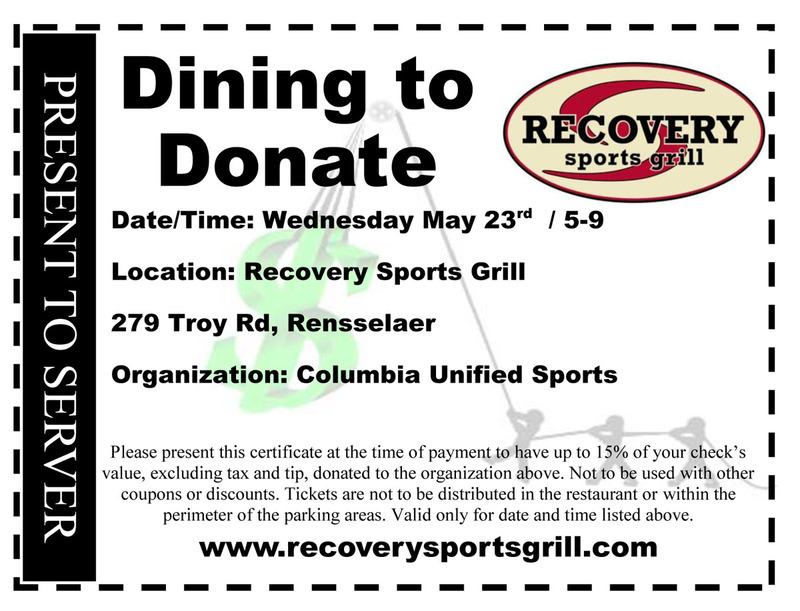 Columbia High School’s Unified Basketball team is hosting a Dine to Donate fundraiser on Wednesday, May 23 from 5:00-9:00 p.m. at the Recovery Sports Grill on 279 Troy Road, Rensselaer. When you present this voucher to your server, 15% of your check is donated to support the team’s trip to the Special Olympics USA Games in Seattle this summer. Please come out and support the Columbia Unified Basketball team!